Name *Required A short descriptive name for the project. Assigned To *Required The name of the team member assigned as the project manager. Choose from a dropdown list. The project will be listed on that Team member's My Projects screen. Start Date *Required The scheduled start date of the project. If nothing is chosen, this field defaults to the current date. Completion Date The scheduled completion date. If this is an ongoing project, you can leave this field blank. Company The name of the Company associated with this project. Status The current status of the project (Not Started, In Progress, Completed, Canceled, Deferred). When creating a new project, the status would normally be Not Started. To delete a project, change the status to Canceled. The project status is updated manually by the user. Project Type *Required Project type (choose from the drop down). This is different than an Aero type. Est. Price The estimated amount that will be invoiced for the project. Est. Total Time The estimated time for the project to be completed. Actual Price The actual price. If you are using the progress billing feature, this amount is auto-filled based on the amount invoiced to date. You can also type an amount into this field. This is the amount that is used in the Project Costing report. Billable Whether or not the project is billable by the hour. This does not trickle down to the Aeros and Master Aeros that are assigned to a project. Fixed Fee Whether or not the project is being billed on a fixed fee basis. This does not trickle down to the Aeros and Master Aeros that are assigned to a project. Active Whether or not the project is active. Description An optional more detailed description of the project. Notes Click on the blue Notes link to see all comments about the project. You can enter date-stamped comments here about the project and save them here. 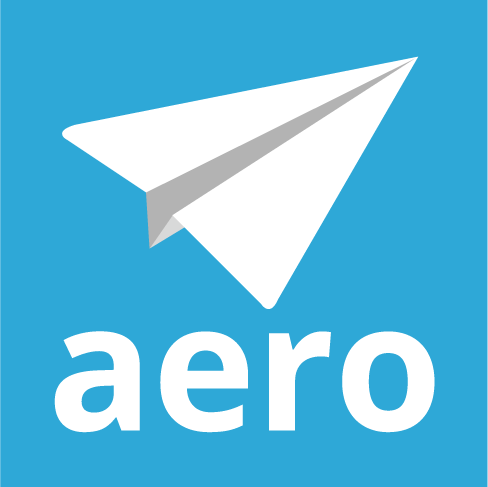 Aeros Click the blue Aeros link to see all Aeros associated to the project. You can use the sort and filter features of the grid to find specific Aeros. Master Aeros Click the blue Master Aeros link to see all Master Aeros associated to the project. Time Click the blue Time link to see all time that has been posted under the project. Invoices** Click the blue Invoices link to see a list of invoices for the project. ** the progress invoice feature is only available to Aero accounts synced to QBO. When you are done editing the project, click the blue Save and Close button and you will be returned to the Manage Projects screen. You can click the Close button to close the edit screen without saving. If your Aero account is linked to your QuickBooks Online account, you will also see a Create Invoice button. Click the button to create a progress invoice.